Are you wondering why your competition is getting the customers you should be getting? Read on, this information may be more important to the future of your business than any other information you've ever heard. Forgive my audacity but I'm willing to bet $$ that your business could be a lot more profitable than it is right now! Are you at a loss to figure out how to get new customers to your business or your offer. Is it getting harder and harder to keep your target audience engaged and coming back to you business? Do you feel overwhelmed by the various new technology that has now become a part of doing business? And does it seem as if your competition is always one step ahead of you? The reality is that the landscape has changed and while it has become easier to reach the customer iit also poses a challenge of understanding the technology and how to use it to your best advantage. Thanks to technology it's now easier than ever to reach the consumer. It's become as simple as a click, a tweet, a ring or a text. It has become easier to nudge this newly liberated consumer into shopping mode with the right offer. However, this technology can be a double-edged sword, for while this consumer is more inclined to be in shopping mode she is also much better informed than her predecessor. Easily create and execute a mobile marketing campaign! Reach out to customers all over the world! Have the guarantee that your message will be delivered to the recipient! Have your messages go viral thereby reaching much more people at no additional cost to you! Be able to easily measure the effectiveness of your campaign! What if you could find the right tool to help you navigate your way through the minefield of the latest business technology? As a business owner, you must ensure that you keep on the cutting edge of technology. In order to do this, you need to understand the latest trends and how you can use them to grow your business and stay ahead of the competition. 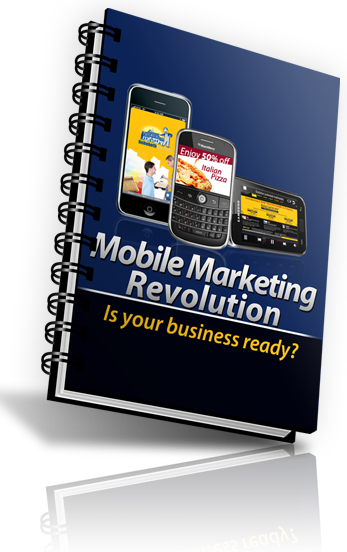 One of the latest technological trends that can benefit your business is mobile marketing.